You’re never too young or too old to change the world for the better. We inspire and teach how to convert passions into actions that are meaningful and rewarding! 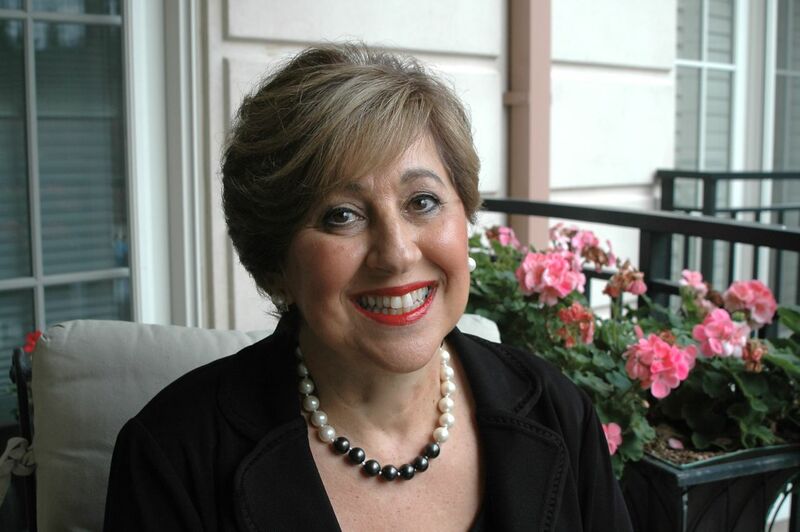 The daughter of Holocaust survivors, Barbara Greenspan Shaiman took a trip to Auschwitz that profoundly changed her life. Walking in the footsteps where she lost the majority of her family, Barbara was moved to action. She soon transitioned out of a successful career in executive recruitment to become a social entrepreneur and activist. In 1995, she founded Champions of Caring, a non-profit organization that empowered more than 10,000 youth in Philadelphia and South Africa to become leaders in public service and active, engaged citizens. 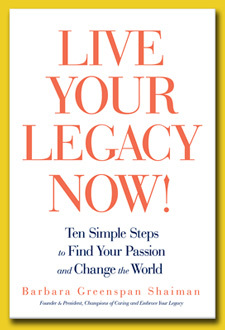 She wrote Live Your Legacy Now! Ten Simple Steps to Find Your Passion and Change the World. As an encore, she also authored Live Your Legacy Now! My Legacy Portfolio, a guide filled with recommended activities and strategies. Barbara began her professional life teaching and developed curricula for at-risk youth after earning her master’s in education. For more than 30 years, she’s worked with many types of organizations to spread a universal message that moves people of all ages, backgrounds and colors to make a difference and pass on values!